Today's a day for friends and families in America to come together a share a meal, give thanks and most importantly, eat lots of turkey. 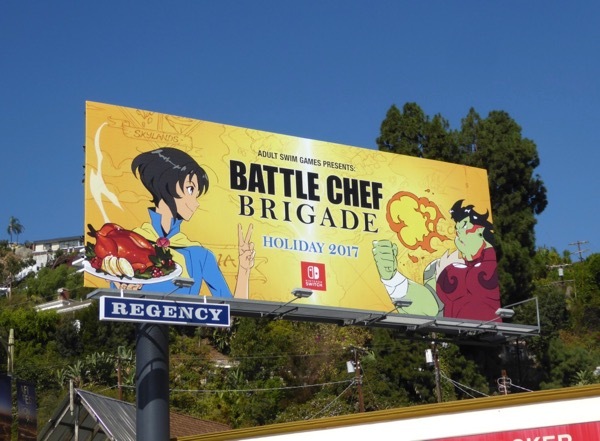 This game billboard for Battle Chef Brigade may not seem the most festive, but it does sport a home-cooked turkey so it seems appropriate for the holidays, and was spotted above West Hollywood's Sunset Boulevard on November 6, 2017. 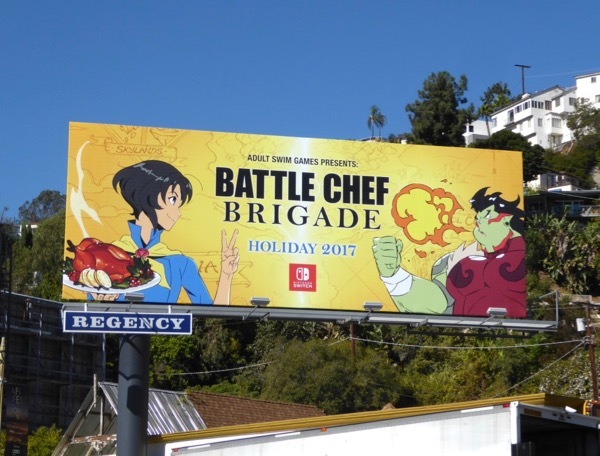 However in this Adult Swim game the magical chefs forage and hunt for their own ingredients, monsters and fantastical creatures, to feed the bellies of their guests and win culinary competitions. 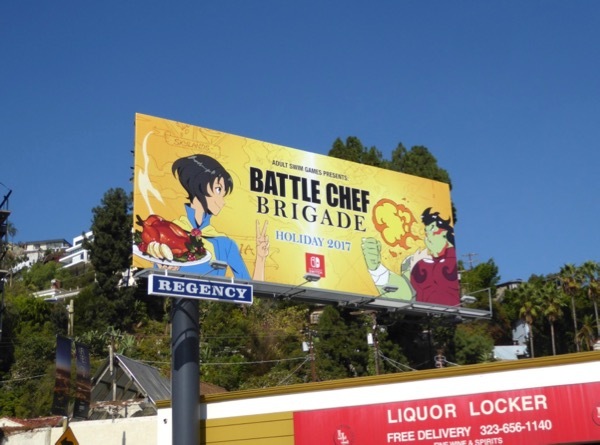 Just be thankful you're not having to slay any dragons, basilisks, chimeras or griffins to put a hot meal on the table this Thanksgiving. 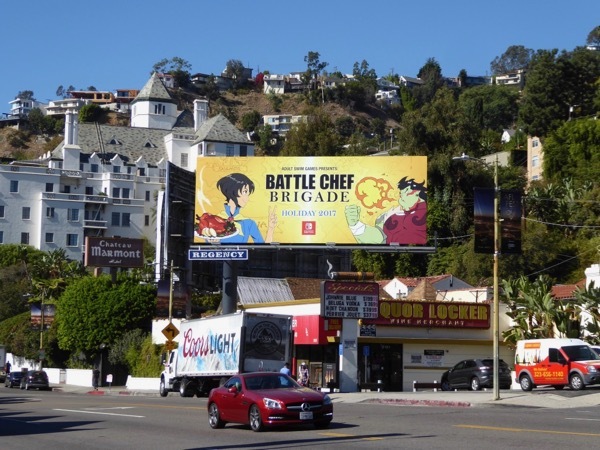 Whatever you get up to today, Daily Billboard hopes it's not too stressful and that your hearts are as full as your bellies by day's end. Safe travels.